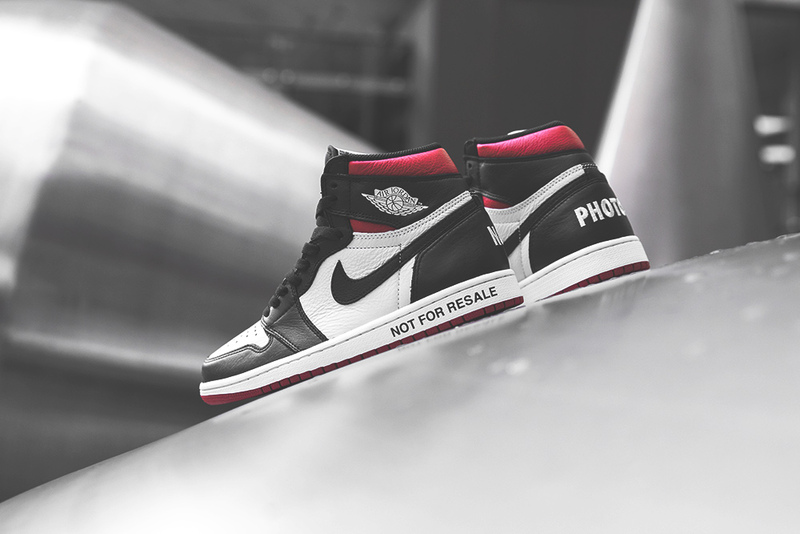 Ever since it hit the court in 1985, the Air Jordan 1 caused attention due to its colour blocking violating the NBA uniform policy and therefore, Michael Jordan was fined $5000 every time he’d play in them. 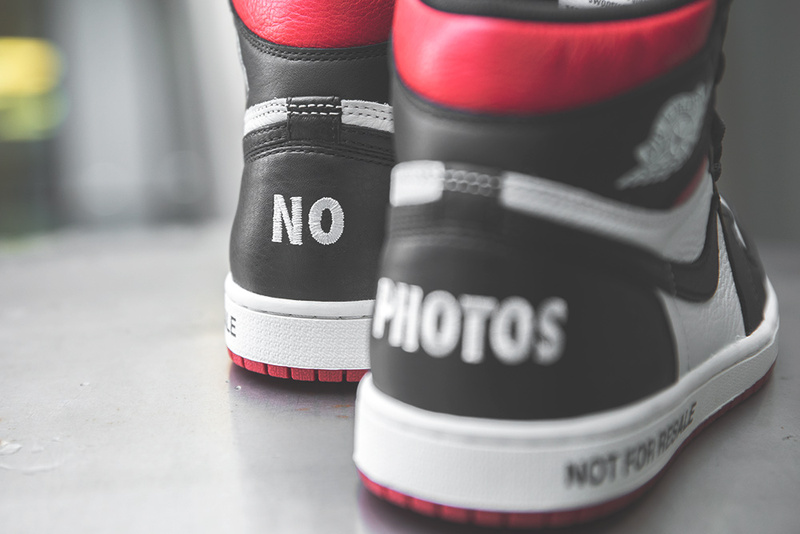 However, this did not halt MJ in his stride to create a storied career. 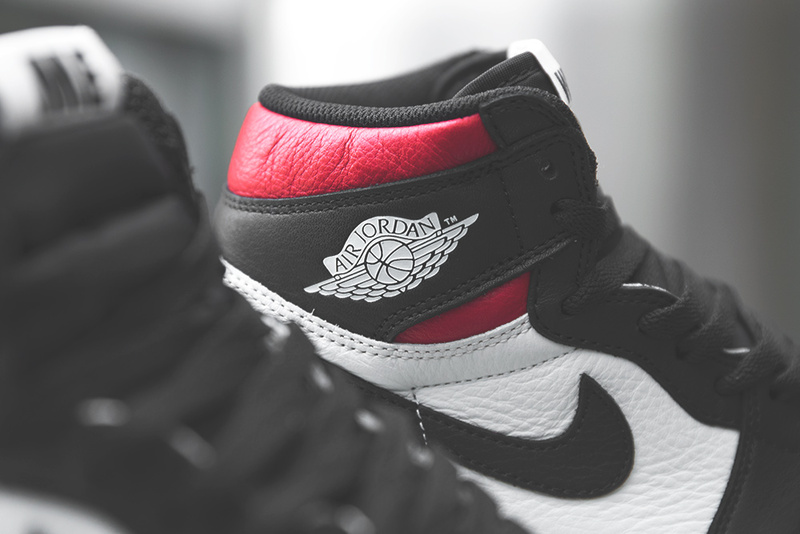 Designed by Peter Moore, the Air Jordan 1’s resurgence over the years has grown massively. The simplicity in its aesthetic mixed with various colour blockings have made this silhouette a respected model in both on and off the court. 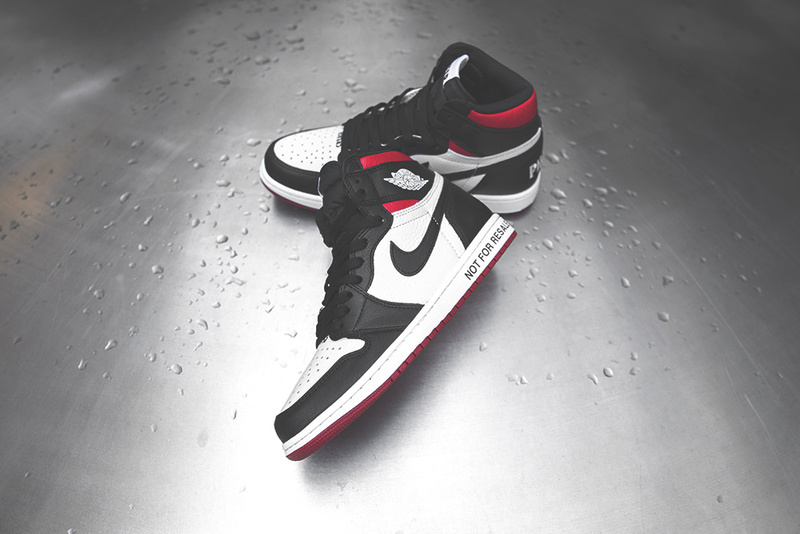 Over the years, the Air Jordan 1 has experienced a host of collaborations, mash ups, retros, new colour ways and more. 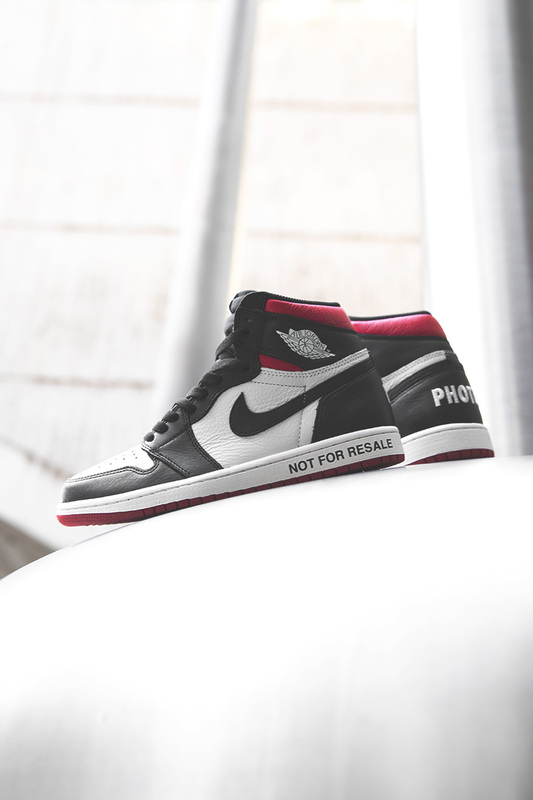 The most recent and ever present project on this model has been with OFF-WHITE’s Virgil Abloh and the “The Ten” collection seeing the Air Jordan 1 dressed in three different variations. 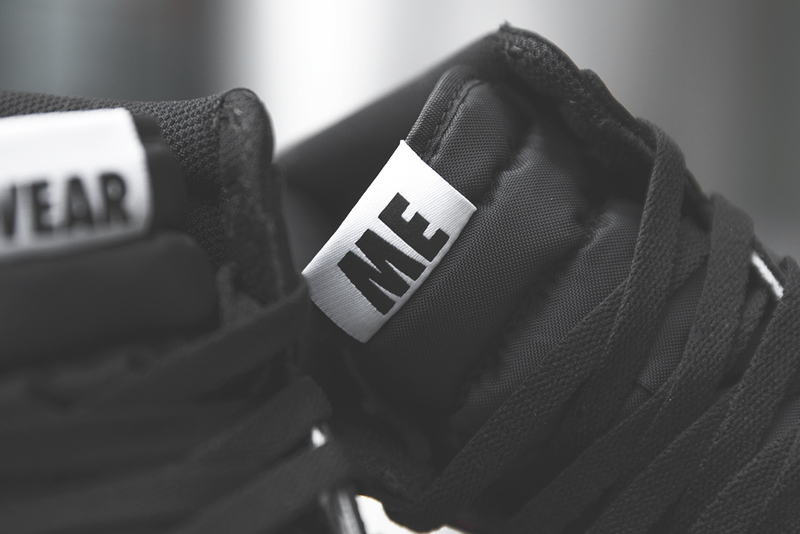 As far as sneaker collecting goes or just casual wearers, resellers are ever-present for those who were unlucky to purchase on retail and give another chance on buying but with an adjusted price. 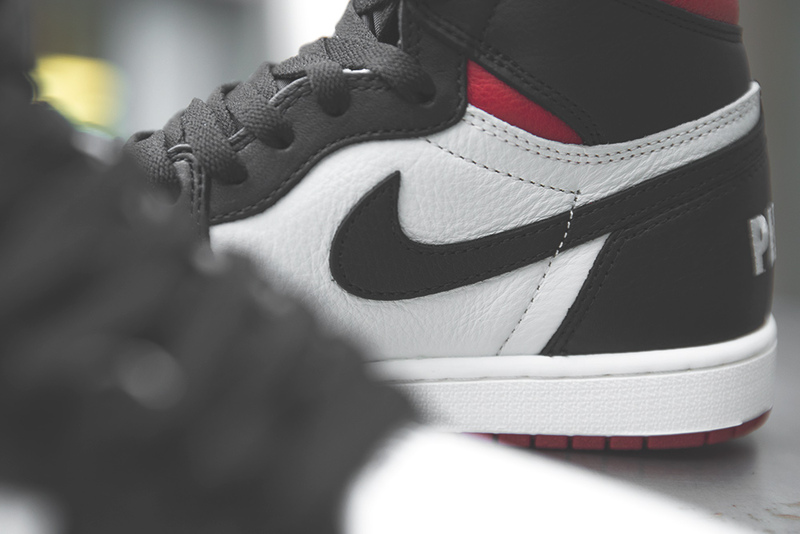 Over the years there has been a back and forth between collectors and resellers due to the chances of buying at retail price being almost impossible and the resell price is unjustifiable. 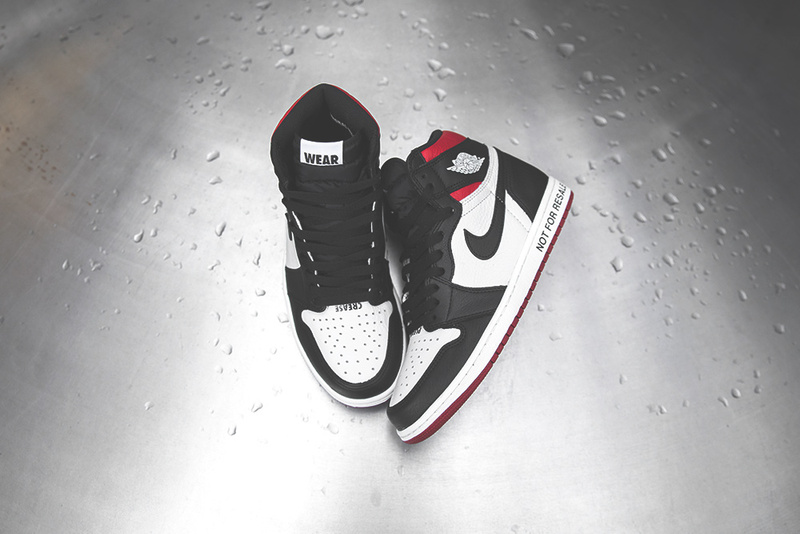 However, to help tackle this, ex Jordan Brand NRG designer Frank Cooke who had a hand in designing this iteration stated: “It was about us taking the time to digest and actually enjoy shoes. Let’s not just as soon as we get them flip them, which is lucrative for people and I’m never gonna hate on that. But I feel like we don’t take the time to enjoy what we have because there’s a release week after week, it’s so saturated”. 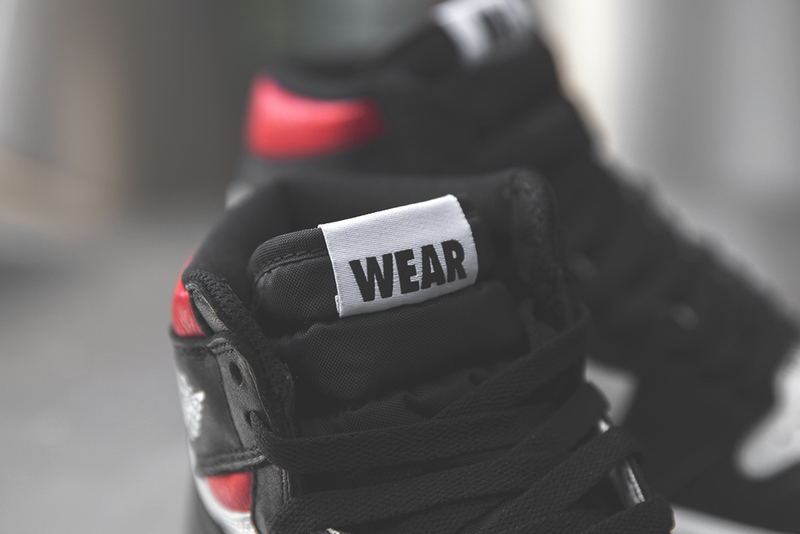 This was an explanation on the mind state of peoples intentions at present is to buy to resell as opposed to buying to wear. 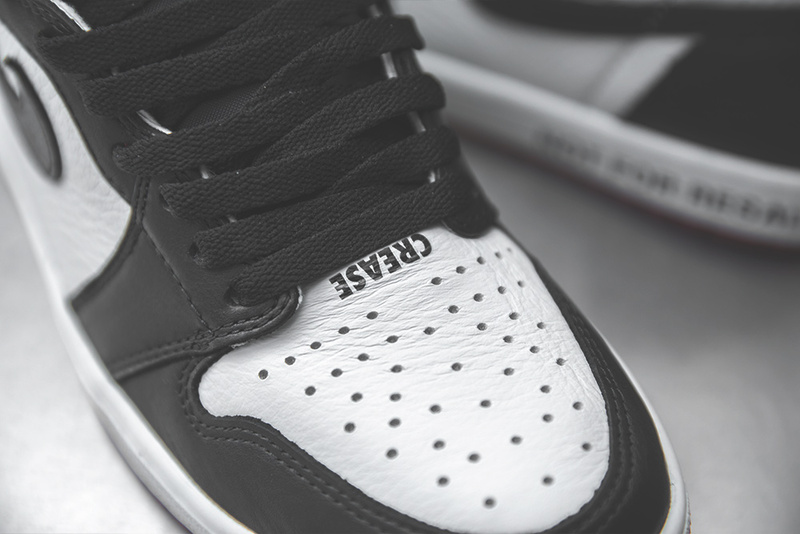 Initially a SNKRS app exclusive, this time around we see a worldwide release. 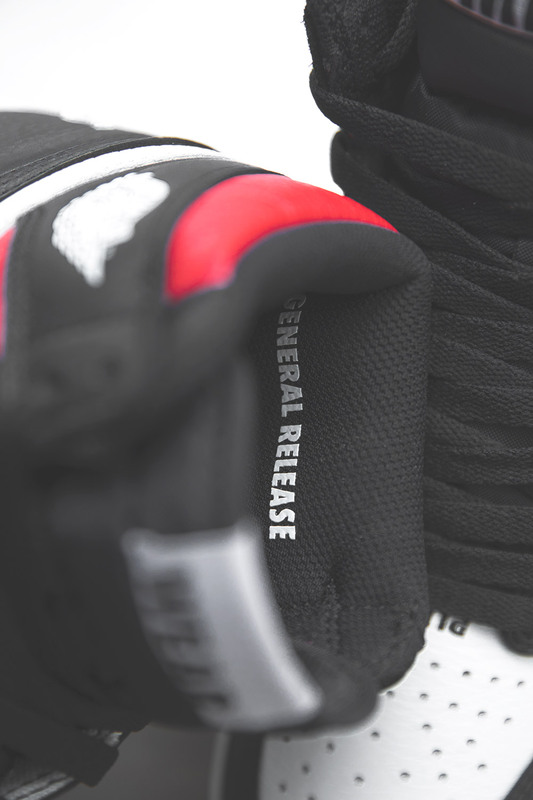 The upper is dressed in a mixture of 2 different leather materials in black and sail respectively as well as a hit of varsity red on the heel collar and outsole. 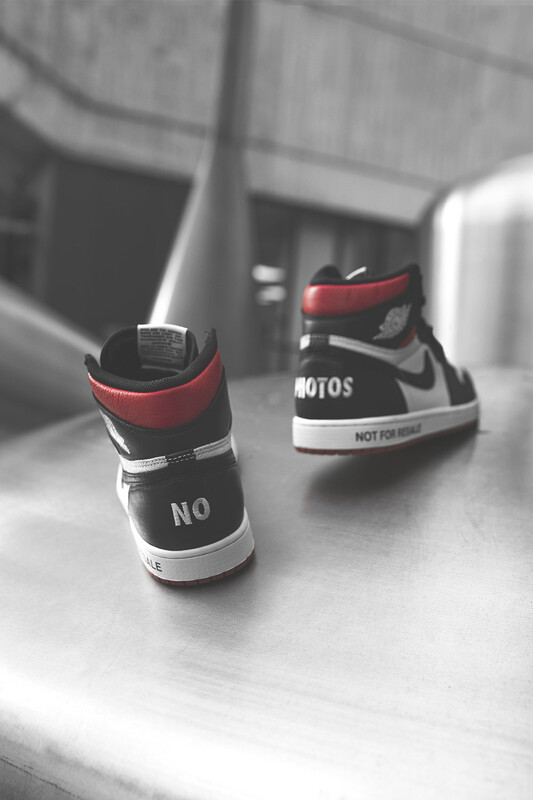 The stand out elements of this iteration is the inclusion of annotations reminiscent of Virgil Abloh’s “The Ten” collection. 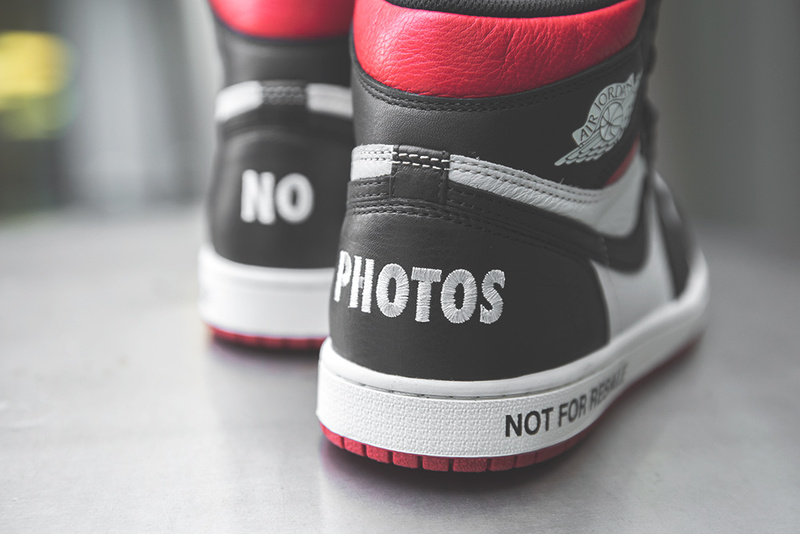 Terms such as ‘No Photos’, ‘Not for Resale’, ‘Please Crease’ and ‘Wear Me’ are a written across the silhouette and continue the theme of rocking and not stocking. 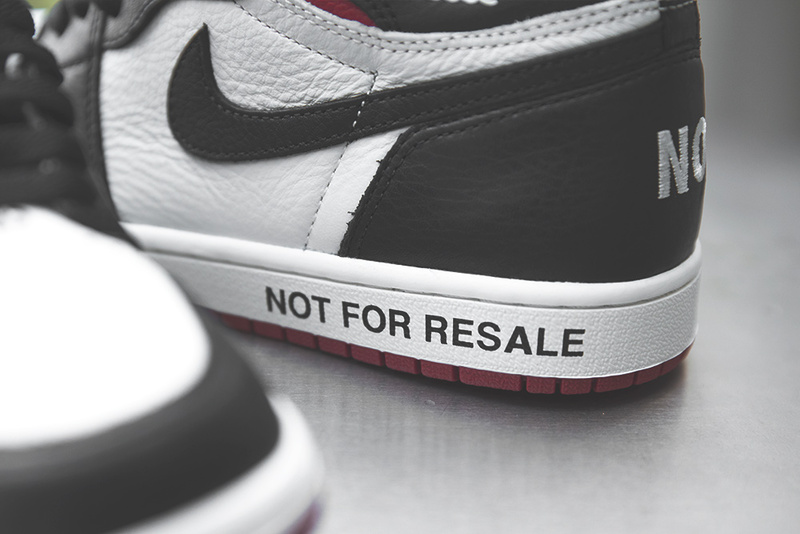 The Air Jordan NRG ‘Not For Resale’ is now SOLD OUT.